Day 59 - Lacie is always asking me to paint her nails (such a girly girl). 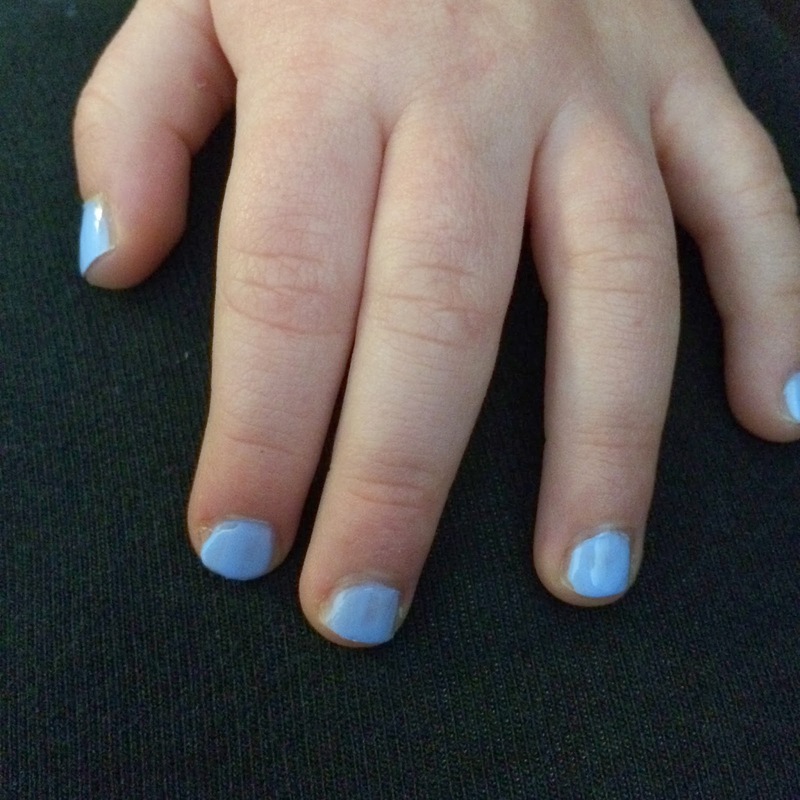 She picked out this color herself - Essie's Bikini So Teeny! She was thinking summer (me too)! 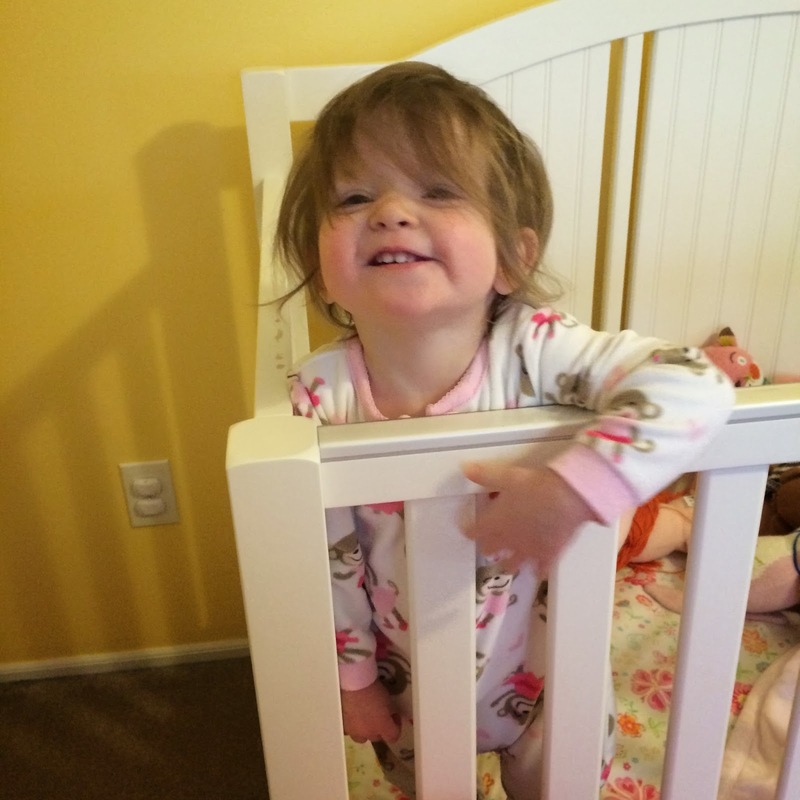 Day 60 - Lazy Saturday mornings are the best! Day 61 - Happy Birthday Dr. Seuss! 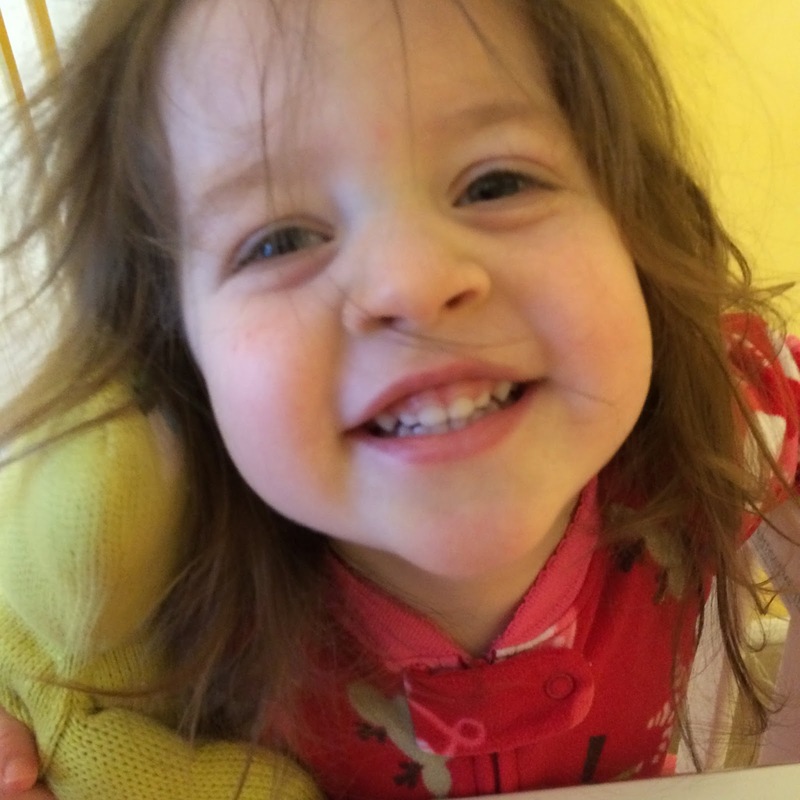 Day 62 - We enjoyed an indoor picnic! 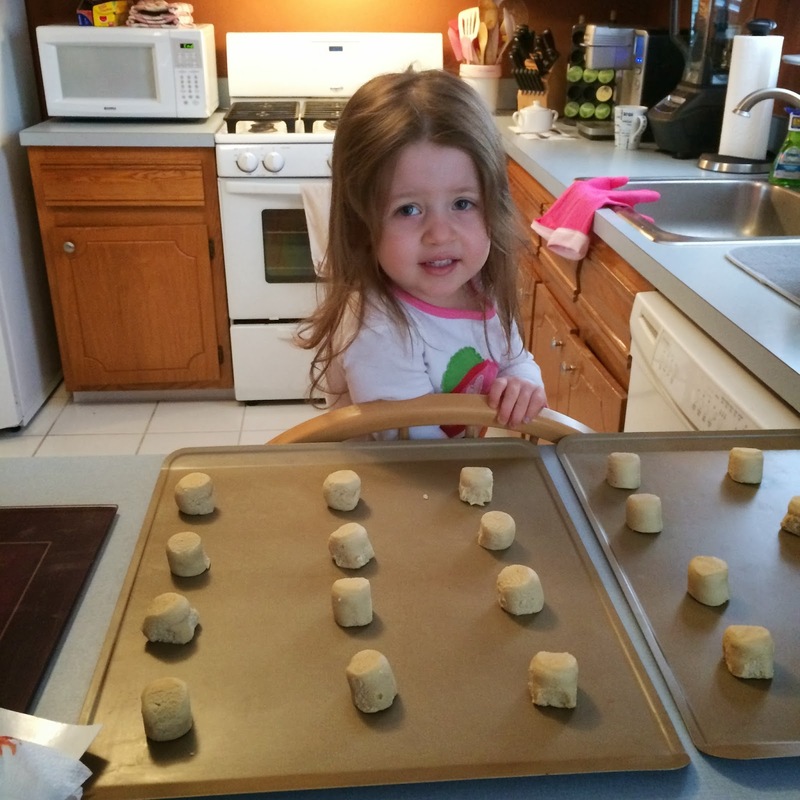 Smoothies and sugar cookies (made by Lacie). Day 63 - I was able to capture an <off-centered> version of Lacie's "I didn't do it" face. Also known as the "I don't know why Blakely is crying" face. Day 64 - This is the new thing at the Hilosky House! Every morning, I go in to wake the girls up and somehow all of Lacie's stuffed animals are in Blakely's crib (except for Lily of course). 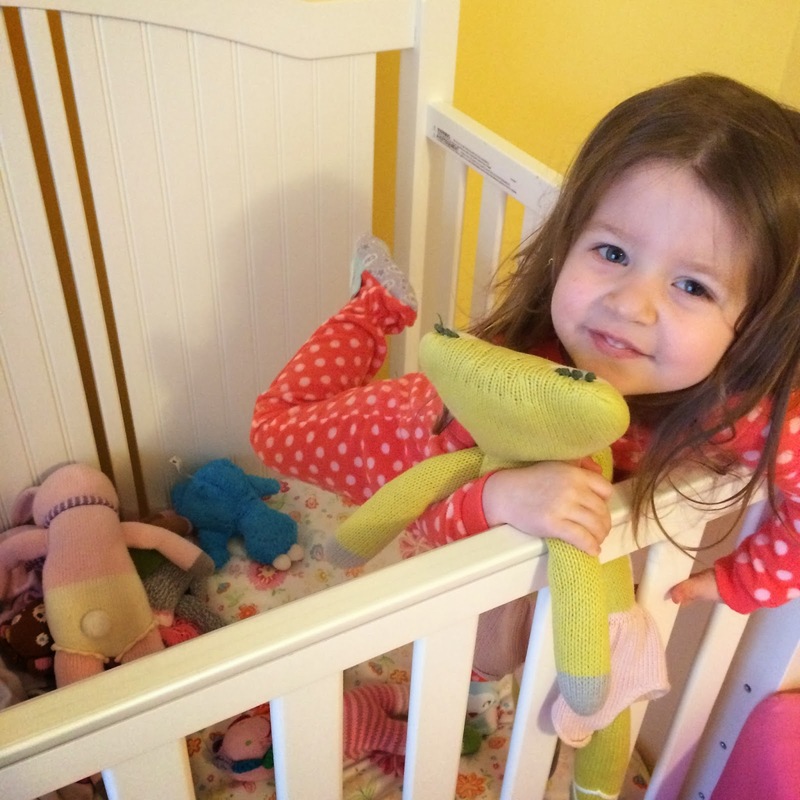 Blakely always seems quite confused as to how she ended up with a crib full of her sisters stuffed animals. They must make their way in there in the middle of the night! Day 65 - First thing in the morning - Sister Love! I am such a blessed mama to have these two girls as my daughters! Here are some other pictures from our week! 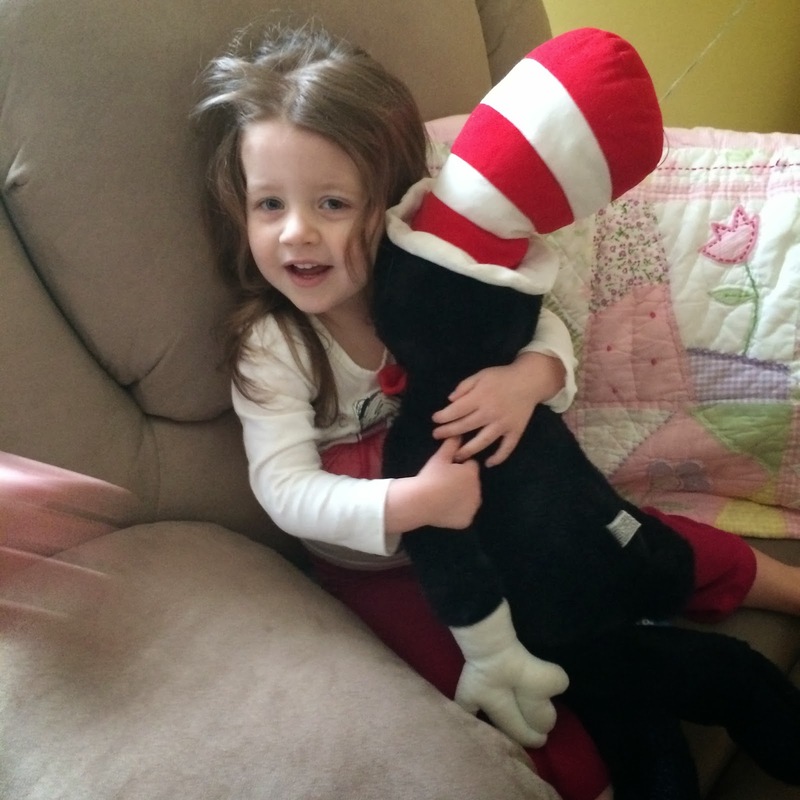 Lacie hanging out with Grandmom's Cat in the Hat stuffed animal! She loved it (and she loves the story too). 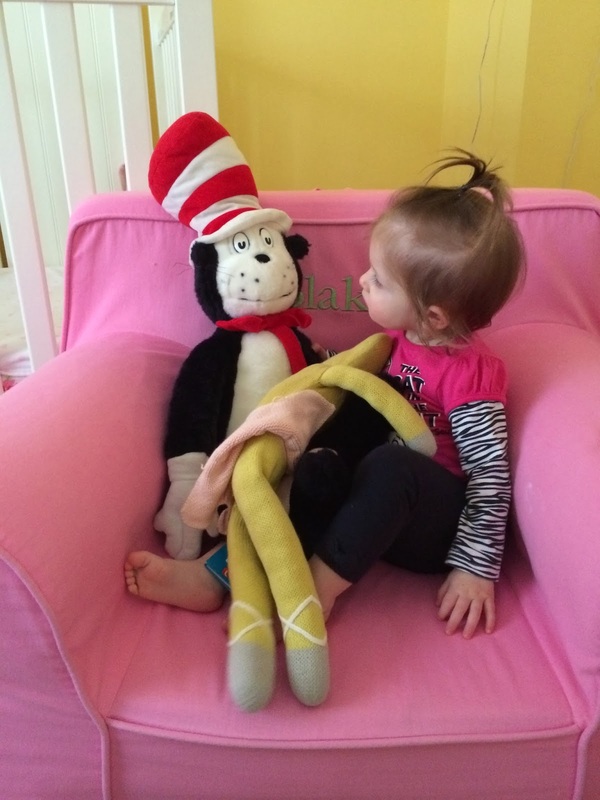 Blakely, however, was not the biggest Cat in the Hat fan...she was actually scared of it. Lacie showing off her ballerina balancing skills!